Merchants Overseas is back from the To BEAD True Blue Show! The show took place at the Doubletree Reid Park Hotel in Tucson, Arizona – January 30 – February 4. 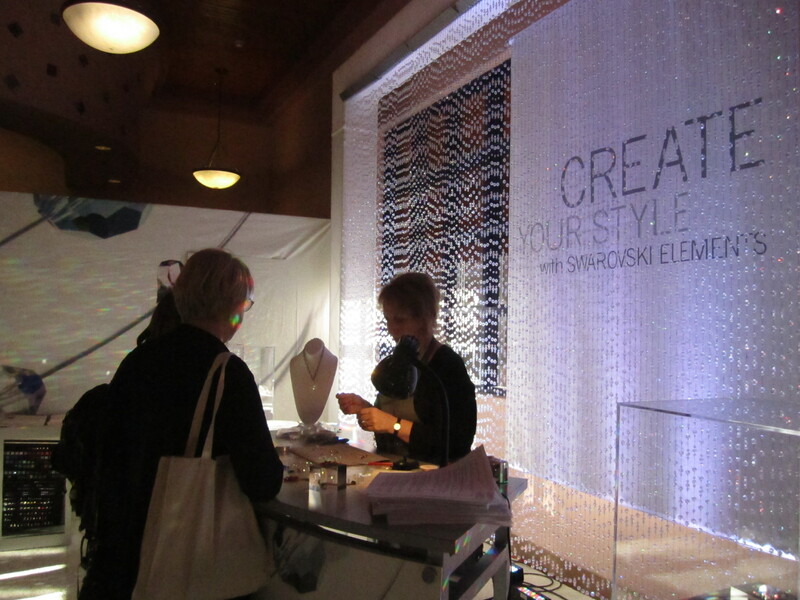 This year Merchants Overseas together with Artbeads.com, sponsored ‘Sparkling Make & Take’ projects at the SWAROVSKI ELEMENTS exhibit, where anyone could sign up to make stunning creations with their favorite crystals and actually take them home! The event was a huge success and we’d like to thank everyone who participated! 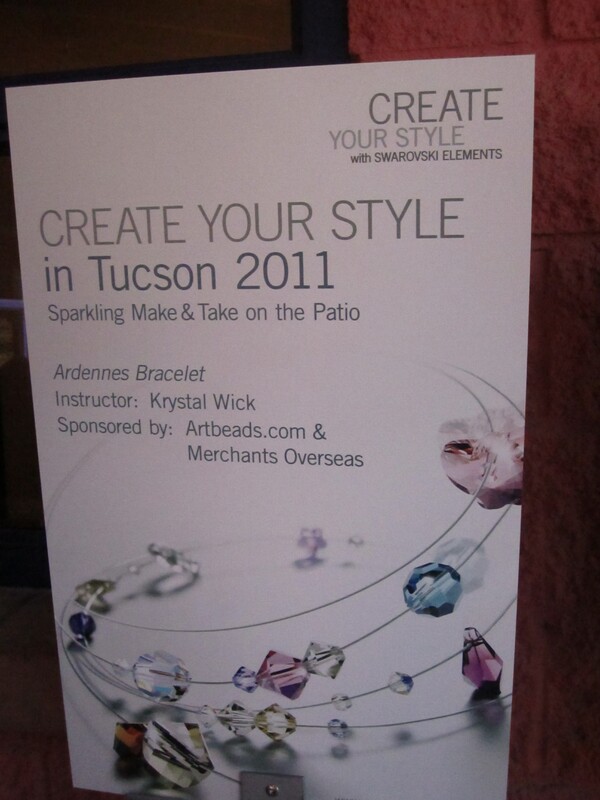 Visit The Tucson Bead Show for Sparking Make and Takes with SWAROVSKI ELEMENTS! Merchants Overseas will be exhibiting at the To BEAD True Blue Show. The show is taking place at the Doubletree Reid Park Hotel in Tucson, Arizona – January 30 – February 4. Our new and improved exhibit display with be at the Main Bonsai Ballroom, in Booths B17 and B19. TBS is the largest bead show in the US, offering workshops and exhibits on beading, jewelry making, textile arts, and more. 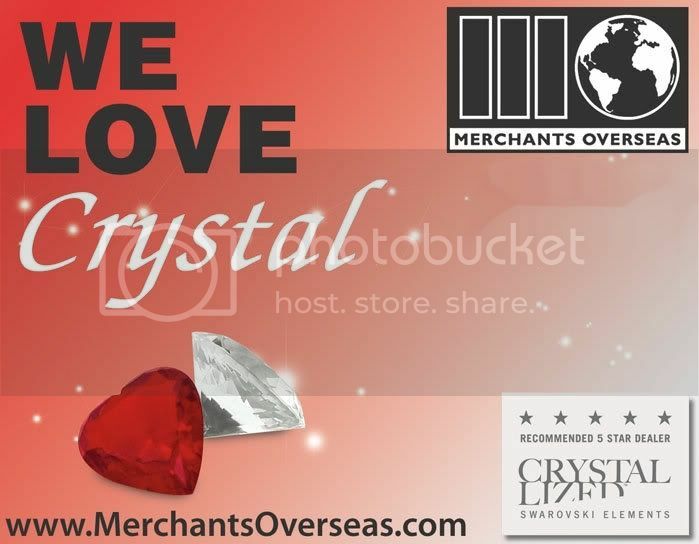 Merchants Overseas will be showcasing our best-selling SWAROVSKI ELEMENTS and The BEADELLE(R) Collection. 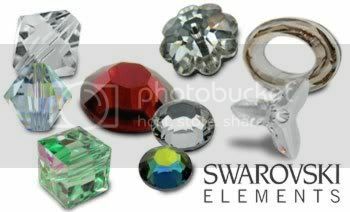 This year Merchants Overseas will be sponsoring ‘Sparkling Make & Take’ projects at the SWAROVSKI ELEMENTS exhibit, where everybody can learn how to make stunning creations with their favorite crystals and actually take them home! 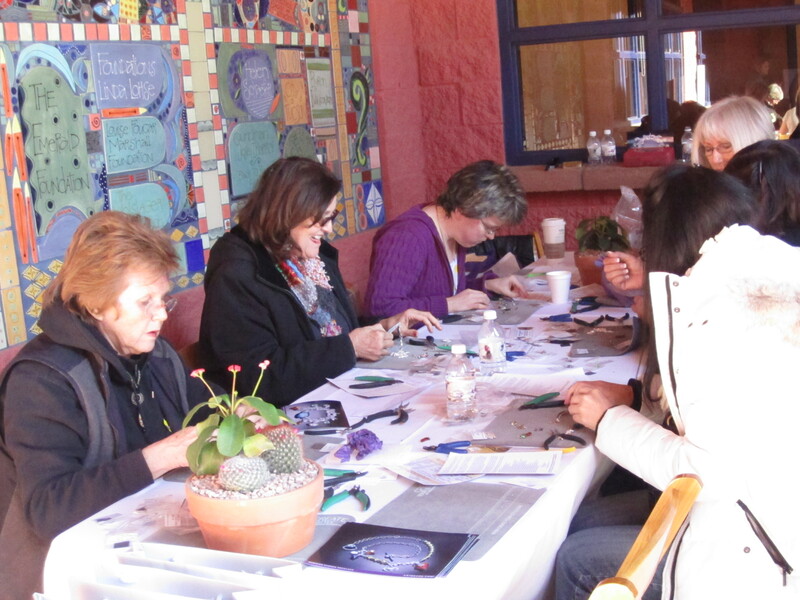 There will be a $10.00 fee for all Sparkling Make and Take projects which will be donated to the YWCA of Tucson. Merchants Overseas in conjuction with Artbeads.com, will be sponsoring a Make and Take “Parisian Garden” Necklace projecting featuring the New Wild Hearts from SWAROVSKI ELEMENTS on Wednesday, February 2nd at 11:00am and 2:00pm and is Instructed by Kristal Wick. They are also sponsoring a Make and Take “Ardennes” Bracelet featuring the new Divine Rock Sew-On Stone from SWAROVSKI ELEMENTS on Wednesday, February 2nd at 12:15pm and 3:15pm, also instructed by Kristal Wick. Can’t make it to the shows? Check out our blog https://merchantsoverseas.wordpress.com to see exhibit pictures! Merchants Overseas will be Exhibiting at The Tucson Bead Show 2011! Are you? January 30-February 04, 2011 , Merchants Overseas will be exhibiting at TBTB, To BEAD True Blue, at The Tucson Bead Show. The show is taking place at the Doubletree Reid Park Hotel in Tucson, Arizona and we’ll be in the MAIN Bonsai Ballroom, Booths B17 and B19. TBS is the largest bead show in the US, offering workshops and exhibits on beading, jewelry making, textile arts, and more. 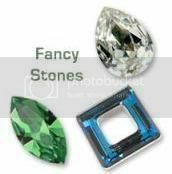 We will be showcasing our best-selling SWAROVSKI ELEMENTS and The BEADELLE(TM) Collection. Will you be walking or exhibiting at the show? If so, please contact a sales associate at 800-333-4144 or by email at info@merchantsoverseas.com. We would love to come see your exhibit or meet for an informal meeting! 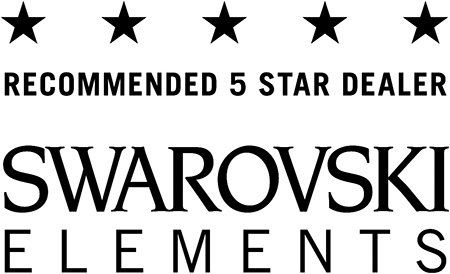 This year Merchants Overseas will be sponsoring ‘Sparkling Make & Take’ projects at the SWAROVSKI ELEMENTS exhibit…where everybody can learn how to make stunning creations with their favorite crystals and actually take them home! Can’t make it to the shows? Check out our blog … merchantsoverseas.wordpress.com …to see exhibit pictures, utilize inspiration guides, learn about application tips and more. Merchants Overseas Tote Bag: Made Into A Beautiful and Original Work of Art! Well, a wonderful artist named Paulette Adams from the Summerland Cottage Studio snagged a bag from us at CHA, added an Italian cotton paisley swatch from Ralph Lauren, and did an amazing new look that she described as “simple, chic, fun and a super quick sew”. And we agree! !